Acronis Backup Cloud for Service Providers is a hybrid cloud backup solution for service providers that protects any virtual, physical, and cloud environment, and lets you quickly realize incremental revenues with zero upfront costs and a pay-as-you-go business model. Work for Acronis Backup Cloud for Service Providers? Learning about Acronis Backup Cloud for Service Providers? "great alternative for the backup of all our data"
Acronis Backup Cloud is a really incredible and very useful software that represents an effective solution for the backup of all my most important files and those of my clients, keeping them totally safe. Acronis Backup Cloud has a very dynamic and simple interface that makes it easy to use, install and configure, with the possibility of completely customizing backup copies adapting to my needs. I also find it important to note that it works in Mac and Windows environments and if any problem occurs, the software will send me an email notifying me which is fantastic. While it is true that Acronis Backup Cloud is an excellent software, the website and the control panel can be a bit slow. This causes a bit of interruption and, in an emergency situation, always crosses your fingers so that the web portal does not crash. It usually does not, but as it does from time to time it is not totally impeccable. Be sure to demonstrate this software first, so that you are aware of speed problems and if it meets all your needs. Give him a good month before migrating from another system to all your clients. but nevertheless, in my opinion I definitely recommend it and it is worth a try. Since I started to implement Acronis Backup Cloud I find myself much calmer, since I know that all my data and those of my clients are totally safe. and if any failure occurs in the system I can count on a reliable backup. Acronis Ransomware Protection provides automatic data restoration once it detects ransomware which is pretty cool. If you don't have the time to restore a Virtual Machine you can always start it up instantly from a backup. Backing up Office 365 without having a physical agent installed on your server is also quite handy. Another ideal thing to backup is your WHM Panel via the Acronis plugin. This provides a complete backup solution for all your hosting accounts. Luckily black Friday comes every year. The response times to log a support case do take some time depending on the urgency but they do supply some pretty good support once you have connected with an engineer. Backing up O365, Exchange, Active Directory and Data into a central storage. Providing the quickest data recovery times in the world. We can also securely encrypt backups as well as provide Geo-Replication services which replicates your backed up data to multiple offsite locations across the globe. "Una solución atractiva para la gestión de backups"
Acronis Cloud es una solución atractiva para la gestión de los backups de nuestros clientes. Envío de emails diarios notificando cuando hay un error en las copias para nosotros es una solución fantástica. Su panel de visualización general de todos nuestros clientes es de una gran ayuda para echar un vistazo general de si se han completado o no. Destacamos también la sencillez a la hora de crear y añadir nuevos clientes a nuestro panel. ´Cabe destacar que el servicio técnico es rápido y conciso. La parte negativa es que cuando queremos traspasar la copia a otro ordenador, no es una tarea sencilla, y no siempre funciona, de hecho , a veces tenemos que volver a subir la copia entera, ya que no detecta que es el mismo cliente. Otro de los problemas es que si queremos borrar ficheros en la copia subida a la nube , el tamaño no desciende. Además de cuando intentamos añadir exclusiones de algunas extensiones de fichero para que no sean subidos, si la copia ya está creada, ignora totalmente esta regla. Fácil administración, sus precios y su seguridad de los ficheros. Tener una solución integrada en un mismo panel es de gran ayuda. Poder monitorizar todos clientes en una sola página es perfecto. Además de lo ya comentado, envío de notificaciones diarias a nosotros y a nuestros clientes. Producto que ofrece una buena calidad, copias de seguridad fiables. A modo personal también uso otra solución de Acronis por su fiabilidad. Como técnico estoy tranquilo con los usuarios que tengo ya que se que las copias se hacen bien. Fácil de instalar y configurar, si bien alguna vez nos hemos encontrado con problemas de instalación pero son las menos. Sería deseable tener mayor control sobre los datos de la nube y poder eliminar archivos si es necesario. Sería interesante poder hacer backup de MySQL en Windows. Cuando se incluyen archivos *.pst en la copia está sube mucho de tamaño y no se pueden eliminar los archivos una vez subidos a la nube. Hay que mejorar la reinstalación del cliente cuando un usuario se cambia de máquina y necesitamos aprovechar los datos que ya están subidos al cloud de Acronis y no tener que volver a subir los datos, ya que a veces no tienen la velocidad de internet deseada. Sería interesante poder tener soporte en castellano, ya que a veces se hace difícil entenderse correctamente por culpa del idioma. Ofrecemos copias de seguridad a nuestros clientes para que tengan a salvo sus datos y a la vez cumplan con la GDPR. Con esto conseguimos que nuestros clientes tengan tranquilidad y nuestro negocio obtiene beneficios gracias a la comercialización de este nuevo servicio. Acronis 2018 Backup Cloud is so easy to install. I like how I can backup my files and keep them secure and have to spend all day watching and wondering what is taking so long. Actually, there is not too much I don't like about Acronis 2018 Backup. I have tried other programs who stated they do the same thing as Acronis, but they have been a waste of time. I would recommend Acronis Backup Cloud to anyone who is looking for a reliable, inexpensive, and easy-to-use System Backup. "A powerful and scalable backup solution"
Acronis works on both Mac and Windows environments, and is quick and easy to set up accounts and deploy the software to clients. Backups are highly customizable to fit whatever needs you have, and can be monitored in a variety of ways, from getting email alerts for specified failures, a quick glance at a visual chart for each client showing success and failure dates, or dig in deeper and view the stats of all backups going back weeks. In the current version, the management console can be a bit slow to load and navigate. Nothing unbearable but it adds up when you have a hundred or so clients. Note that there is new version being pushed out soon that has an improved and redesigned management console so this may be fixed by then, as it did not used to be this slow. Additionally there are some clients that for unknown reasons have minor issues, such as the backup drives not auto-formatting when they run out of space, or having occasional issues with the archive which requires manually formatting the backup drive. There are only a couple out of a hundred or so that have this issue, but it is a minor annoyance having to babysit them occasionally. The arguement is less "Should you use Acronis Backup Cloud?" and more "What reason do you have for not using it?". It's the best backup solution I've looked into or used for managing large-scale deployment and management of cloud or local backups. We needed a backup solution that could handle server backups better than Windows Server Backup. Beyond that we found with Acronis Backup Cloud, we could not only replace our local backup management solution but our cloud backups as well, and gain the benefit of being able to run backups directly from Mac Mini servers that are over 10.8. It's much easier to set up, as once it's installed I don't need to be connected to the server to set up the backup settings, and I don't have to rely on a second software to send me alerts about backup failures, I can just rely on Acronis to manage the backups and let me know when I need to check in on any. "Streamlined backup and restoration process"
Standard policies can be applied against machines, leading to predictable machine status at backup intervals we define. The interface is easy and allows for quick training of new hires on a critical business process. Full fledged API/SDK is still a work in progress but being delivered in the near future. As a workaround, default policies can be applied once an agent is assigned to a machine. In many IaaS providers, you won't have access to the hypervisor. If you need this and your IaaS provider/backup solution doesn't support it, you can't standardize across the board. "Perfecta solución para hacer copias en la nube y gestionarlas facilmente"
Acrònims backup cloud es una solución perfecta para tener un control diario exhaustivo de las copias de nuestros clientes. Facilidad de uso y de implementación, además de una fácil restauración en caso de desastre. Dificultad en el momento que se quiere cambiar la instalación del software a otra máquina manteniendo la copia ya subida. Facilidad para realizar una instalación del programa y mantener la copia ya subida en la nube. Hemos solucionado el problema de controlar las copias de una manera eficaz. Además de tener una consola visualmente atractiva. "A great low-cost backup, which allows all of the state-of-the-art virtualization and encryption"
The web interface is very slow, and sometimes doesn't load the page you're looking for. I believe they are working on this. It would be nice if it were faster, but it's a nice trade-off for the low cost. The other part is the alert system - it generates a ton of alerts, so I needed to put in some email filtering so I can get through them easier. Be prepared for a slow-loading website once you get a lot of clients. Run a test virtualization restore after implementing the software. If you do that, you won't look back. We are able to deliver virtualizable backups to clients without a huge price tag. With storagecraft we were charging $150/month for unlimited cloud and virtualizable backup, and now we are able to include virtualizable backup by itself on all of our service plans without additional costs. "Easy to manage and set up"
We can restore files from anywhere as it is web based. "Nice experience with this product, beautiful and simple interface." The easy use of this product and the diferents options that acronis give to you. all it's fine.For another part the maintenance of the service, when it takes more than one day and my clients call me for receive some information of this maintenance.This is the only think that i dont like. the problems with the ransomwares, thanks to have some diferents points of backups at the cloud with acronis. "encuesta de satisfaccion de level programs"
la facilidad con la que se pueden hacer la revision de copias, asi como restauracion de datos y monitorizacion. Tambien es muy facil ver los reports para el cliente. Quizas la interfaz no es muy intuitiva y si no estas acostumbrado al principio te pierdes un poco. Cuando ya te acostumbras no hay problema pero al haber tantas opciones/botones es un poco lioso. Revision de copias de seguridad en disco y nube. Actualizacion de clientes y recuperacion de datos. Sometimes your interface goes down (time charging). When i open a case, often i have to wait many days to have issue resolved. web time charging should be fast. Our clients are saved against virus/malwares with your cloud copy. "Acronis is a great BU/DR product!" I like it’s simplicity and how easy it is to use. It works well and is very cost efficient. I dislike the lag time on the Acronis cloud product when the environment it is backing up gets larger than 20TB or 60 VMs. Solving people’s backup and DR needs on a tight budget. Was able to consolidate many backup products into one single solution by using Acronis and getting rid of their other products. "Unique fit for a unique need"
Cloud interface is lacking some fundamental controls/views, restores from cloud storage are occasionally very slow. There are few backup providers able to meet our licensing model and deployment flexibility requirements. For example, our Managed Platform product is billed on a monthly basis. Since customers may come and go, an annual minimum-spend agreement simply doesn't fit. 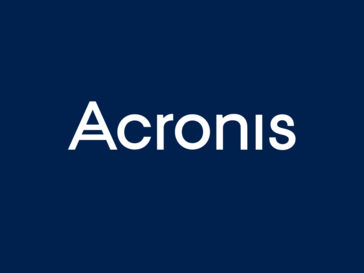 Acronis' billing model allows us to add and remove servers at will, without worry. Acronis cloud backup service allows us to offer local and cloud backup options as well as extended retention plans. "La seguridad de los clientes"
La lentitud de restauración desde la nube, que las copias locales sean visibles para los rasonware, si hay fallo en la copia por lentitud -ya que en España hay un porcentaje elevado de lineas ADSL- se tenga que subir desde cero. La verdad es que no llevo el tema comercial. "Perfecto para realizar copias seguras"
Copia fuera del ordenador en servidores seguros. Momentos de lentitud en la restauración de ficheros. Soy técnico, no realizo tema comercial. Ease of use and almost a set it and forget it. Sometimes the dashboard where all of our customer are shown, does not correlate with the actual backups. Sometimes if will show that a backup hasn't succeeded in over a month but logging into the customer it will show that it has backed up successfully for the past month. We had previously stored customer backups in our datacenter, but we are finding it much cheaper to have it back up to the cloud. This makes it much easier to administer. "Acronis backup and disaster recovery"
"after an hour getting to know the Interface, we are happy to use something that just works"
If you need a backup solution that just works , this would be the place to start. We never looked back. The diferents options for incremental copy, the option that gives to you the possibility to select diferents hours to execute de copy. the diferents maintenance are very repeated, we need more stability. solve the critic problems in the less possible time. "It has been a reliable tool for backup"
"Acronis Cloud - easy to use"
We make backup for all kind of customers, with different kind of data. Agile, always improving their product set. Easy and simply and manage your own backups. * We monitor all Acronis Backup Cloud for Service Providers reviews to prevent fraudulent reviews and keep review quality high. We do not post reviews by company employees or direct competitors. Validated reviews require the user to submit a screenshot of the product containing their user ID, in order to verify a user is an actual user of the product. Hi there! Are you looking to implement a solution like Acronis Backup Cloud for Service Providers?